This module is for speech and language therapists working with children who have speech, language and communication problems. It is also for others with a special interest and some background in developmental language problems. Through a mixture of direct teaching, discussion and student-led presentations, the module will give you access to current issues in Developmental Language Disorder and provide opportunities to reflect on the implications for support and intervention in a range of settings. It will extend your knowledge of current research methods and findings, develop your insights into relations between current research and clinical/educational practice, and enhance your ability to apply your knowledge and understanding to work with children with DLD. The Licentiate Diploma of the Royal college of Speech and Language Therapists is also accepted. Individuals with less than a second class degree will be considered where they have substantial relevant experience (Clinical, teaching or other relevant professional experience). 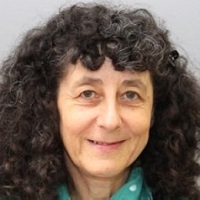 Shula is a psycholinguist specialising in typical and atypical language development. She has worked at City University London (1982-2000, 2006 to date) and at University College London (2000-2005).